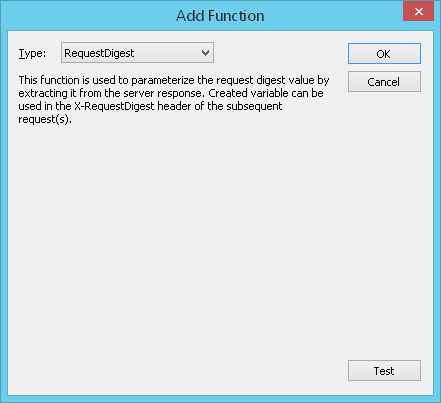 Requests to SharePoint applications usually contain Request Digest values which must be parameterized. There is a special function in WAPT for this purpose: $RequestDigest. 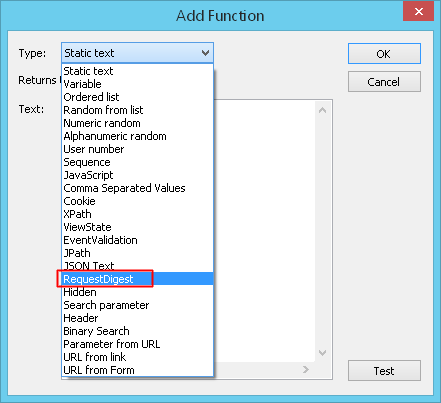 When you install the Module for SharePoint Testing on your computer, this function appears in the list of other WAPT functions. It is used to parameterize the Request Digest values extracted from server responses during recording.